Durban - Just a week after their victories in Mauritius Hank McGregor and Hayley Nixon tasted success at this years Bay Union Open Ocean Surfski Challenge when they won the men's and women's title at the twelve kilometre Citadel Race at Vetch's Beach on Sunday, opening their accounts at the popular four-race winter series. 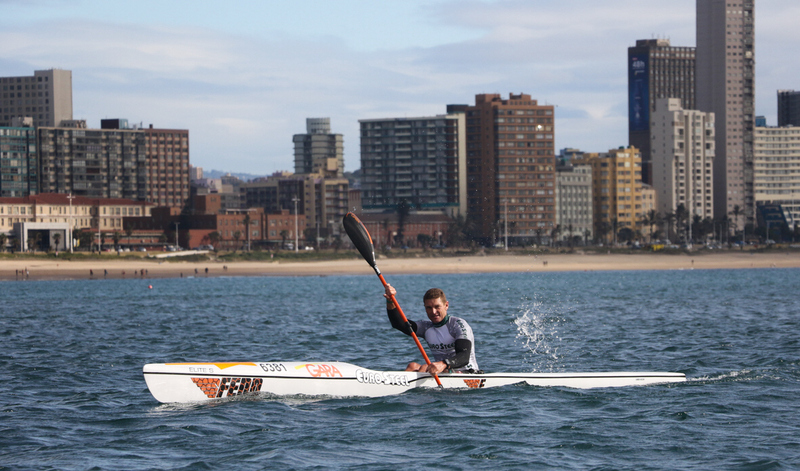 With Durban being buffeted by an icy cold front, the race was shifted to a lap from Vetch's Beach to a turn-can off the uMngeni River Mouth and back instead of the standard course that takes the paddlers offshore in front of the Bluff. McGregor (Fenn Kayaks/Euro Steel) mastered the big windswept conditions superbly and cantered home more than a minute clear of Gene Prato, Luke Nisbet and Tyron Maher to claim his first win in the Sunday morning series. Hayley Nixon (Carbonology/Euro Steel/Vaikobi) revelled in the tough conditions to post an impressive win over last weeks winner Jenna Ward and Donna Winter. The Molokai champion said that the decision to revert to a course inside the shelter of the bay had been a good one, but the conditions had still been tough to master. "It was freezing out there! 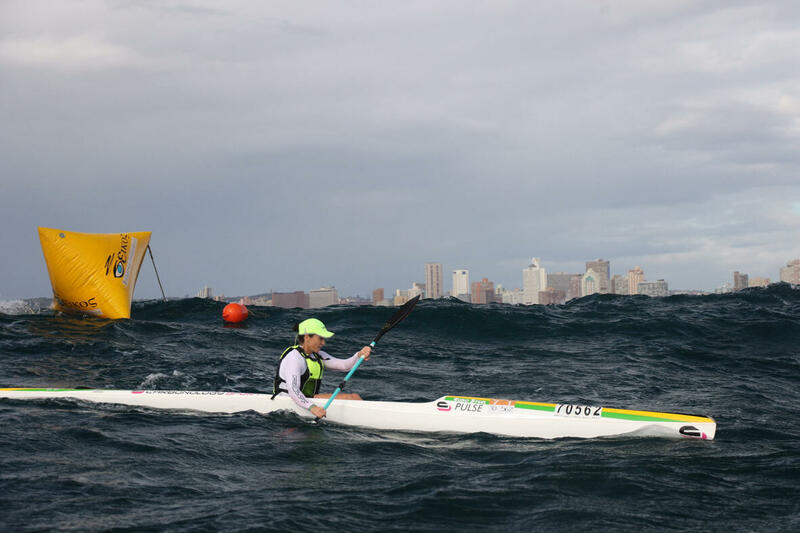 It was so unlike typical Durban conditions," said Nixon. 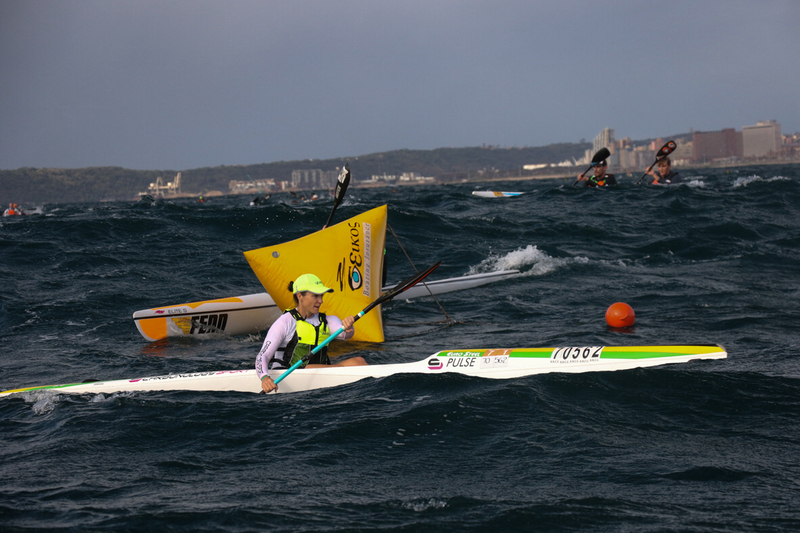 "The downwind leg down to the river mouth was great fun and really competitive. "It was great that all the singles started together so that we could race with the men," she added. "After the turn at the can coming back into the weather was a real grit and a grind. It was bumpy conditions and the wind was blowing, which made for really good training," said Nixon. The double ski field revelled in the stormy conditions, with the duo of Jason Ekstrand and Hamish Lovemore banking the win with the fastest time of the day, with the minor placings going to Brendon Delport and Richard Lowe, and the crew of Gavin Searle and Grant Smith. 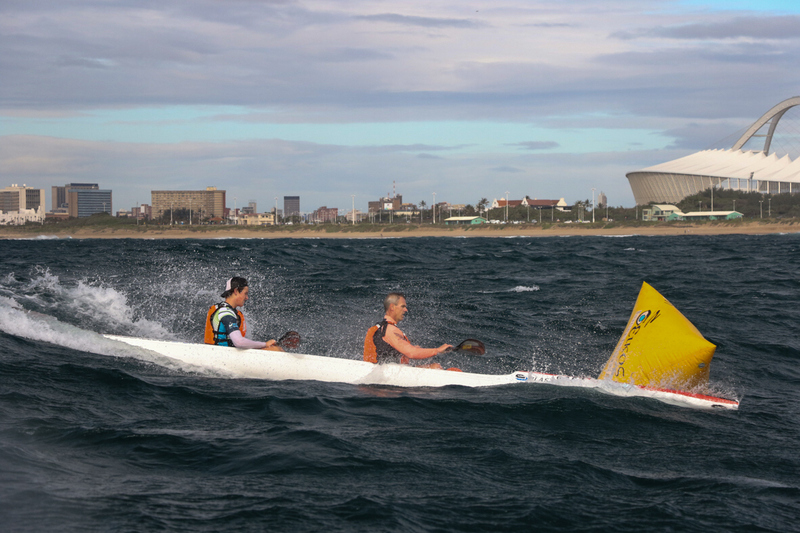 The next race, the Geriatskis Race, Race three of the Bay Union Open Ocean Surfski Series takes place at Vetch's Beach on Sunday, 22 July.